Exercising more reduces the risk of diabetes and could see seven million fewer diabetic patients across mainland China, Hong Kong and Taiwan, according to new research. Researchers have found that higher levels of Leisure-time Physical Activity (LTPA), such as walking, jogging or running, are linked to a lower risk of diabetes in high-risk individuals. And they have observed health benefits from low-intensity physical activity too - making it possible for older people to take steps to improve their health and reduce the risk of diabetes. The research team, led by experts from the University of Birmingham, recommends that swift action is taken by health chiefs to promote physical activity as a way of reducing diabetes and combating China's growing obesity epidemic. Over an 18-year period, researchers studied the lifestyles of 44,828 Chinese adults, aged between 20 and 80, who had been recently diagnosed with impaired fasting glucose (IFG) - an early warning signal for type 2 diabetes affecting one in four Chinese adults. Professor Neil Thomas, from the University of Birmingham's Institute of Applied Health Research, commented: "We found that higher levels of LTPA are associated with a lower risk of diabetes in a large population of Chinese adults with IFG. "About one fifth of the observed diabetes cases which developed could have been avoided if inactive individuals had engaged in World Health Organisation (WHO) recommended levels of exercise. "In the approximately 370 million Chinese adults with IFG, increasing LTPA by one category - for example, from low to moderate - would correspond to a potential reduction of at least seven million cases of diabetes. It may also offset the rapid increases in diabetes resulting from population ageing and China's ongoing obesity epidemic. "However, more than three-quarters of Chinese adults do not perform sufficient physical activity to reap such health benefits. Our findings emphasise the urgent need to promote physical activity as a strategy for diabetes prevention." The research team included experts from the Chinese University of Hong Kong, Academia Sinica, Taipei, Taiwan and MJ Health Research Foundation, Taipei, Taiwan. Their findings were published in the British Journal of Sports Medicine. Researchers studied a Chinese-born IFG population in Taiwan, following their health from 1996 to 2014. Compared with inactive participants, diabetes risk in individuals reporting low, moderate and high volume LTPA was reduced by 12%, 20%, and 25% respectively after adjusting for physical labour at work and other factors. The researchers found that 19.2% of diabetes cases could have been avoided if the inactive participants had engaged in WHO recommendation levels of LTPA. 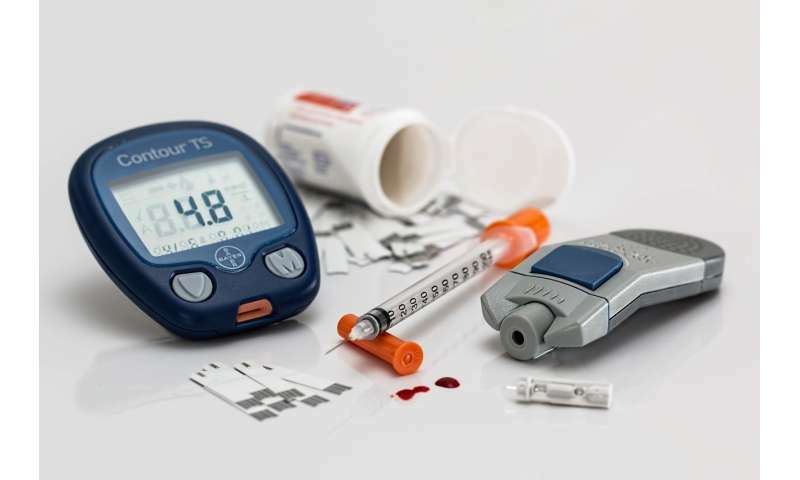 Estimations suggest there are about 112 million diabetic patients across the Greater China area (Mainland China, Hong Kong and Taiwan) accounting for 40-60% of premature deaths before the age of 60 years and at least US$51 billion of economic burden. Progressive deterioration in glucose metabolism occurs many years before the clinical diagnosis of type 2 diabetes, for which IFG is an early detectable pathological change. Individuals with IFG constitute a significant proportion of the Chinese population, with 25% of Chinese adults meeting the American Diabetes Association (ADA) definition of IFG. Every year 6-9% of individuals with IFG progress to diabetes and, compared to people with normal blood sugar levels, such patients have a higher risk of death from vascular and chronic kidney disease.